Phone Hire New Zealand is now offering an In-Car GPS system with pre-loaded New Zealand road maps. As with all of our products, the GPS system can be delivered to any New Zealand address prior to your arrival whether it be a car rental agency or your first nights accommodation. A simple to use, simple to operate navigation system. 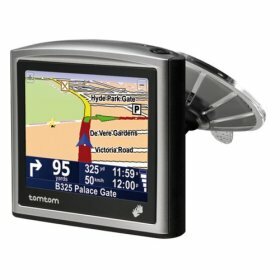 Tomtom one is a world class reliable handy system that will guide you to anywhere in New Zealand. Just set your destination: overnight hotel, B&B or an attraction and the system will guide you clearly and safely. Order your GPS through the Reservation page.